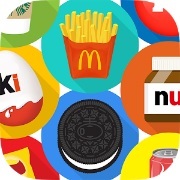 This page has the Guess the Food: Brand Quiz answers for the Netherlands region. If you are looking for the answers on a different region then go to the main page with the answers here. Be aware that the levels are differently arranged for every player so it might be a little hard to find it immediately. Just search for the correct answer at the level.